Return to this page anytime by clicking the “Back to the Leica Photokina announcement page” link. 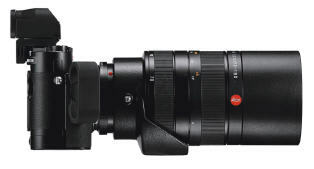 The Leica V-Lux 4 the world’s fastest bridge camera with an ultra fast 4.5-108mm f/2.8 zoom lens. If you would like to pre-order, please email CustomerService@bergencountycamera.com or call 800-841-4118. All orders are delivered in order of reservation. If you would like to pre-order, please email CustomerService@bergencountycamera.com or call 800-841-4118. All orders are delivered in order of reservation. 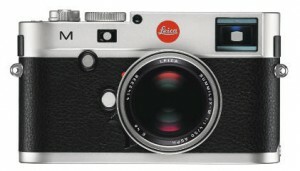 The Leica M was developed for customers who want to put their excellent Leica R lenses to digital use. 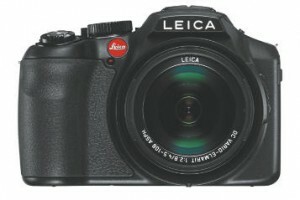 The new LEICA R Adapter for the first time gives users the option of deploying almost any Leica R lens ever built with their Leica M. The camera menu lists more than 20 different R lenses from wide-angle, telephoto and zoom through to macro lenses, including calibrated imaging workflow and EXIF lens detection. The wide selection of lenses opens up new application options to Leica M photographers, HD video recording in conjunction with the Leica R Vario lenses and using lenses with focal lengths longer than 135mm. computer. The “Leica Image Shuttle” software enables remote control of all camera functions and the transmission of image data directly to a computer via USB cable. For users who simply want to improve their grip on the camera when using R lenses, it offers a handgrip without additional functions. It also differs from the Multi-functional Handgrip M in terms of the slightly lower overall height of the base plate. FINGER LOOP FOR MULTI-FUNCTIONAL HANDGRIP M AND HANDGRIP M, SIZE S, M OR L To further improve the ergonomics, both the Multi-functional Handgrip and the Handgrip M can be supplemented with an optional finger loop. The use of the finger loop helps to distribute the weight of the camera comfortably across the hand and is available in 3 different sizes. The Multi-functional Handgrip M extends the functionality of the camera, adding a SCA socket that allows the user to simultaneously attach an external viewfinder and a system flash. To be able to use the additional interface, users need the SCA Adapter Set, comprising of a high-quality flash support rail and an external flash hot shoe with a spiral cable. The SCA Adaptor Set can be used either completely to connect the flash firmly to the camera, or without the flash support rail to unleash the flash. The Microphone Adapter Set lets users record video with professional stereo sound quality. The set is comprised of an adapter for the camera’s accessory shoe, a high-quality stereo microphone and a connecting cable. The adapter allows users to connect an external stereo microphone to the camera. Third-party microphones with a 3.5 mm jack can also be used. The supplied stereo microphone can be connected directly to the adapter, or set up externally thanks to the interconnecting cable. 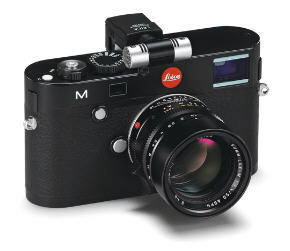 For permanent stationary operation of the camera in professional studio or industrial applications, the new Leica M can be equipped with an AC adapter to supply the Multi-functional Handgrip M directly with power from the mains. 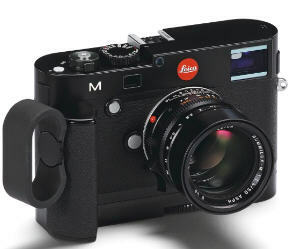 The new Ever-Ready Case M was designed specifically for the new Leica M. It protects the camera during transport and can remain connected to the camera for an impromptu shot. For protection during a more intense shoot, the front part of the case can be removed while the remaining part of the case continues to act as a camera protector. We proudly present a new innovation by Leica Camera, the Leica D-Lux 6 with the fastest zoom lens ever. With its newly developed Summilux zoom lens, the D-Lux 6 takes a top spot in the compact camera segment. This camera is epitomized by speed and optical quality. The D-Lux 6 which fits into a shirt pocket is ideal for available light photography and a variety of creative options. If you would like to pre-order, please email CustomerService@bergencountycamera.com or call 800-841-4118. All orders are delivered in order of reservation. We proudly present a new innovation by Leica Camera, the new Leica M.
The Leica M is the first M camera to implement a newly designed and constructed CMOS image sensor and to feature additional focusing methods and functions like Live View and Full HD video capability. 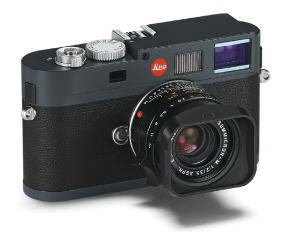 The Leica M is the most versatile model ever in the history of Leica rangefinder cameras and sets entirely new standards. It unites the numerous advantages of innovative digital technology with a rangefinder technology that has been continuously perfected over decades. At the same time, it remains true to the legendary values of the M-System, while expanding the opportunities offered by rangefinder photography – and, for the first time, offers compatibility with Leica R legacy lenses. If you would like to pre-order, please email CustomerService@bergencountycamera.com or call 800-841-4118. All orders are delivered in order of reservation. We proudly present another new member of the Leica M camera family: the Leica M-E. Technically at the high level of a rangefinder technology perfected over decades, the Leica M-E stands for the essence of rangefinder photography. With its concentration on essential photographic functions for accustomed dependability in all typical M fields of use, it is the ideal entry-level model for photographers wishing to experience the fascination of M-Photography. 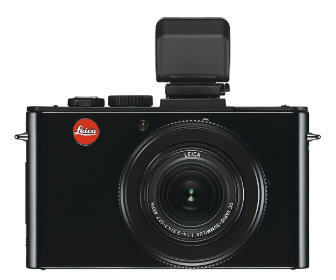 Featuring the proven, high-resolution, 18 MP CCD sensor in full 35 mm format, the Leica M-E offers maximum imaging quality in combination with the distinct advantages of rangefinder photography. Its most distinctive feature is a minimized, purist, design statement. The top deck and base plate are discreetly finished in unobtrusive anthracite grey. The application of a new leather trim with enhanced grip characteristics ideally complements the camera’s classical design. If you would like to pre-order, please email CustomerService@bergencountycamera.com or call 800-841-4118. All orders are delivered in order of reservation.